Signal Gallery have moved into a new bigger slicker gallery space just round the corner from the previous space. 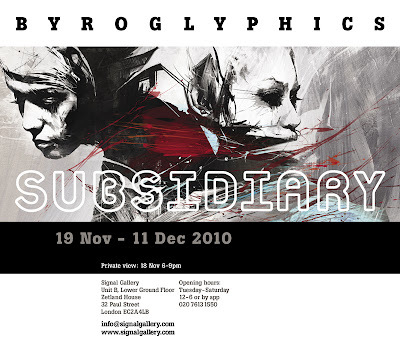 Byroglyphicssolo show “SUBSIDIARY” was the opening event for the new gallery space. More images of the new space coming soon.